Learn how easy it is to applique! 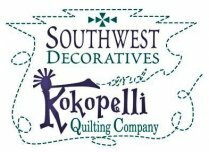 Learn a great applique technique! Make a fluffy rug from fabric! Make a dramatic statement with this project! Use up your scraps and 5" squares! Each month will feature a new project using techniques such as Free Stand Lace, tiling, quilting in the hoop, etc. Enjoy creating this trivet, embellished with elegant Dresden designs. OESD Embroidery Club Class #6 - Borders & Alignment. Learn useful techniques while making a project! Create a stunning quilt using one Ombre and one background fabric! Make a great bag in one class! Turn those T-Shirts into a keepsake!